Our pool will be closed June 6 - June 12- 2016 for maintenance work. Thank you for your patience as we make updates to our amenities. 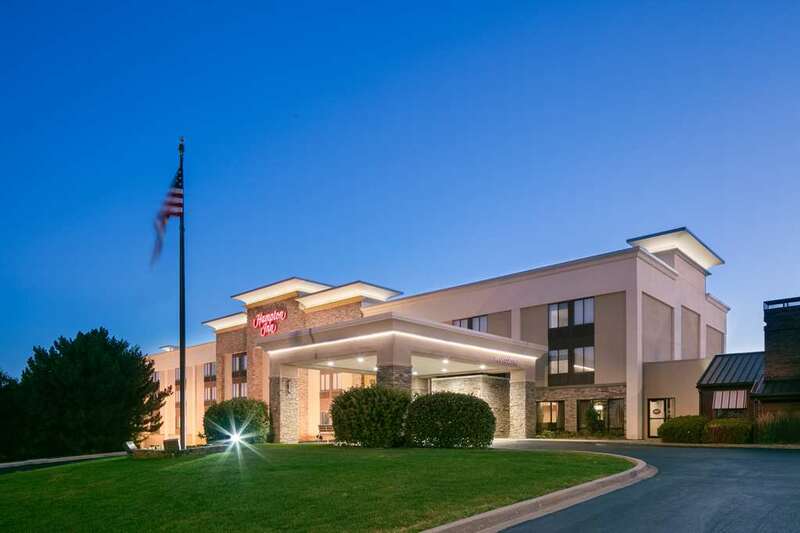 The Hampton Inn Iowa City/Coralville hotel is located off I-80 in a beautiful residential area. The hotel sits on a hill looking over the city and offers easy access to the highway. We are within minutes of the University of Iowa Hancher Auditorium Coral Ridge Mall Kinnick Stadium and the University of Iowa hospitals and clinics. As with every Hampton Inn this Iowa City hotel features complimentary amenities such as a breakfast buffet local calls high-speed internet access indoor pool and whirlpool a copy of USA Today and coffee service in the lobby 24 hours a day. At the Hampton Inn Iowa City each room is equipped with a full size iron and ironing board TV with movie channel and high-speed internet access. Laundry/valet services meeting/banquet facilities and refrigerators are available for a nominal fee. We love having you here in Iowa at the Hampton Inn Iowa City/Coralville hotel.